Do you know that right career skills definitely change your career? Qualifications can be important but a great career requires skills that reach beyond qualifications. Whether it is personal development skills, soft skills and etiquettes or IT skills, the right career skills can be a crucial factor that makes or breaks your career. 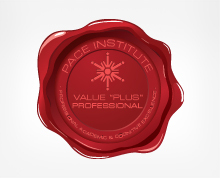 At PACE Institute we believe in empowering you with these essential career skills to guide you into a brighter future and an exception career. Specially designed for school leavers, job seekers and young professionals the seminar that will provide you with the right information and direction to build real life career success. Conducted by a panel of professionals and expert in life and career guidance the seminar will inspire you to Be Unique and Be Assured. Register Now to reserve your seat. Call us on 011 5923500-5 or WhatsApp on 0773990820 for more information.